In Mexican lucha libre circles, the wearing of a mask is sacred. Many legends, like Mil Mascaras, may not wrestle, but will walk the streets wearing their masks. It can signify a certain trait they want to express in their character, and the loss of a mask is seen as a huge blow to both their ego and reputation as a performer. Do masked DJs approach the wearing of their masks the same way? With Daft Punk mania at an all-time high, we're seeing a resurgence in Daft love manifesting itself in the imitation of their iconic helmets; even fan-made replicas (with LEDs!) could run you $500 on Etsy. The sheer volume of people who hadn't previously seen Daft Punk without their masks lead us to consider: Where do dance acts that wear masks draw their inspiration? Why are some more guarded with their identity than others? 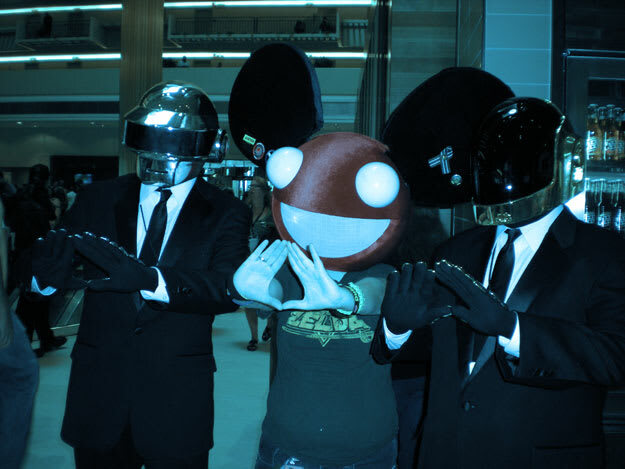 Or, are all masked dance music DJs and producers in the same boat as the androids?